How time flies, 28 years ago the first Lexus LS sedan (or should that be saloon?) arrived in Australia to be greeted with a fair bit of scepticism. Many felt that Toyota was taking a huge risk by introducing an upmarket sub-brand called Lexus to tackle the likes of Mercedes-Benz, Jaguar, BMW and Audi. Yet the Japanese giant succeeded and has not only survived, but also shown the big name Europeans a thing or two about highly impressive quality control and near-silent running. The Euros were shocked into making big improvements and … but that’s another story. Let’s get back to the all-new Lexus LS. The fifth-generation Lexus LS is a major redesign of the one it replaces. It is based on a new platform, has new drivetrains and a semi-coupe profile aimed at giving it a sporting look. 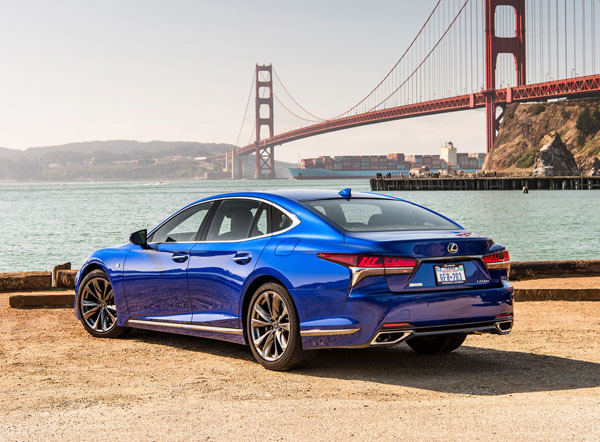 Two powertrains are offered, a 310 kW twin-turbo V6 in the LS 500, and a hybrid LS 500h that uses a naturally-aspirated V6 petrol and electric power for a maximum 264kW. Interestingly, the V8 engine has been discontinued, which may not be a smart move as the Europeans still provide V8s and even V12s in some topline, ultra-expensive models. 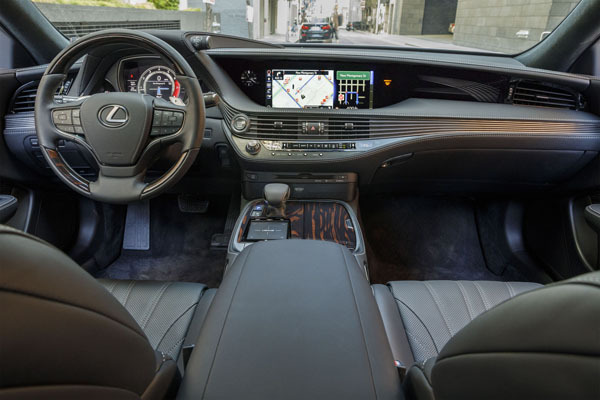 In-cabin technology in the new LS includes a 12.3-inch multi-media screen, head-up display with segment-leading size, Mark Levinson 23-speaker audio and auto-closing doors. 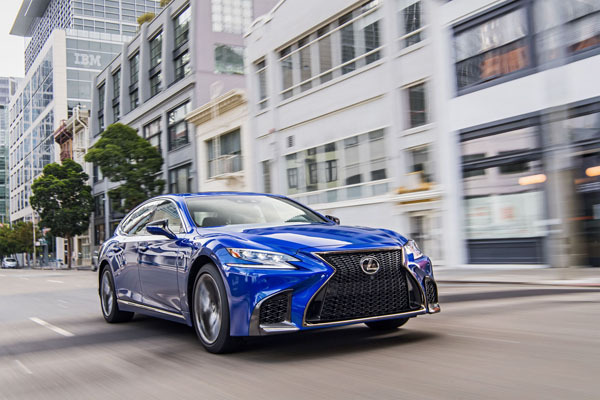 The Lexus LS 500 F Sport also has four-wheel steering and active stabiliser bars to provide an even higher level of stability control while maintaining ride comfort. The F Sport features include different exterior and interior treatments, 20-inch alloys with a front-rear tyre size differential, high-performance brakes, variable gear-ratio steering, dynamic rear steering and active stabiliser bars. 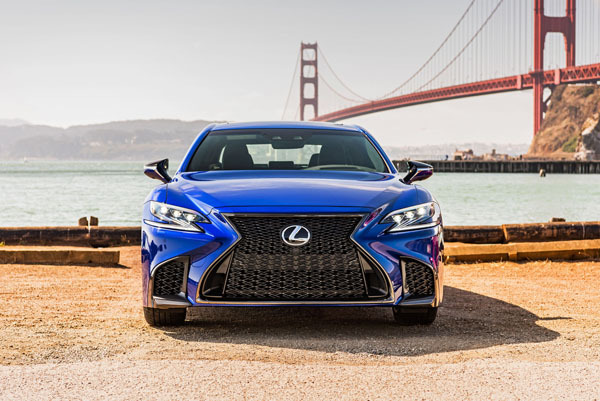 The latest Lexus Safety System+ includes a pre-collision system, all-speed radar active cruise control, lane keep assist and adaptive high-beam system to control the LED headlamps. Blind-spot monitors, rear cross-traffic alert, pop-up bonnet for pedestrian projection and tyre pressure monitoring system are part of every model. Keen to promote its hybrid models, the prices of the drivetrains are the same: $190,500 for F Sport and $195,500 for Sports Luxury.